Your first invitation in a family party in Middle East will most likely involve serving of a Kabsa. You can trace the origins of Kabsa to Yemen where it is considered a national dish. It is also a traditional dish across the Middle East and is part of all celebrations best enjoyed in company of family and friends. Kabsa is a rice-based dish served with large portions of meat – chicken, lamb or goat. In the Middle East, the dish can be found at most of the local eateries, each having their own distinct taste that captures local flavors and individual presentation styles. The special thing about this rice and meat dish is the way it is cooked and the spices used. 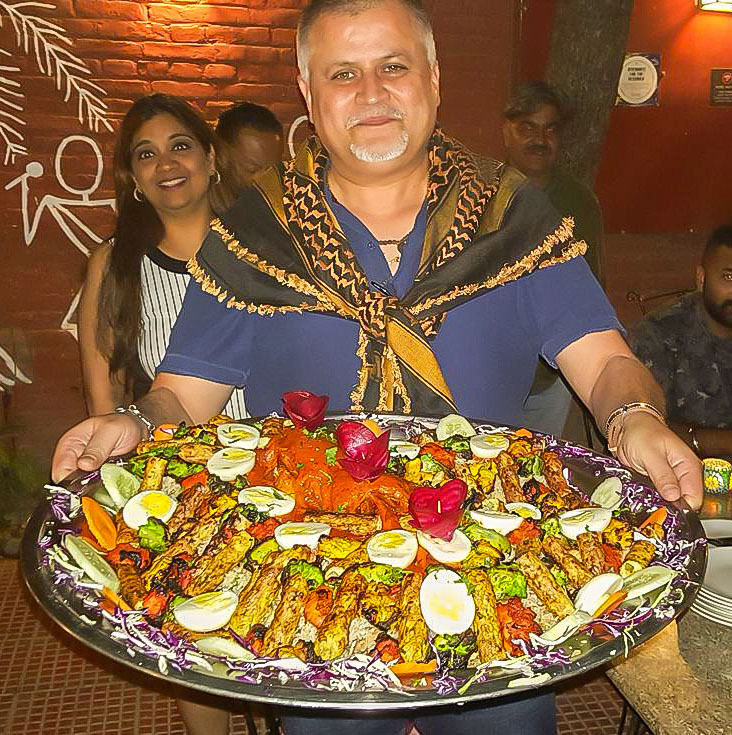 Kabsa can be prepared in different ways most commonly a combination of stovetop and oven but the most traditional form is the use of an underground barbecue pit called mandi. This is an ancient technique that originates in Yemen, whereby meat is barbecued in a deep hole in the ground that is covered while the meat cooks. 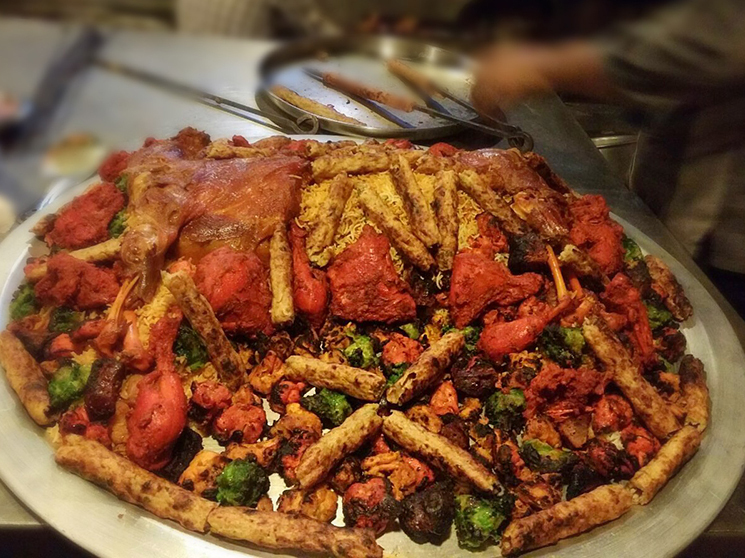 Another way of preparing and serving meat for kabsa is mathbi, where seasoned meat is grilled on flat stones that are placed on top of burning embers. The distinct taste can be credited to the mixed use of saffron, cinnamon, cardamom, black lime, black pepper, cloves and nutmeg. In the Middle East, Kabsa is also popularly known as makbūs. When ordering Kabsa please keep in mind that it is served in large portions and one serving is often enough for anywhere from 6 to 8 people maybe even more! At TKK, Kabsa is served on single big thaal. At the base is a bed of creamy chicken pulao with a tender, succulent, slow-cooked Raan in the center and generously topped with tender kebabs and tikkas of six different kinds and served with sinfully rich red curry. 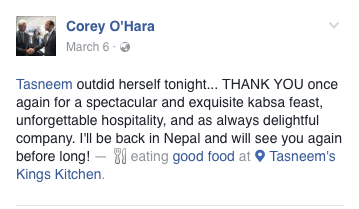 As always, good food deserves good company of a warm family and generous friends. We serve Kabsa for groups starting from minimum 6 people. A day’s notice is required. NRs. 1000++ per person.